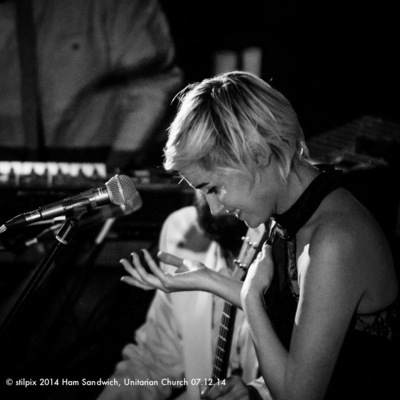 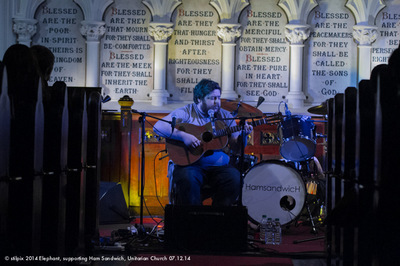 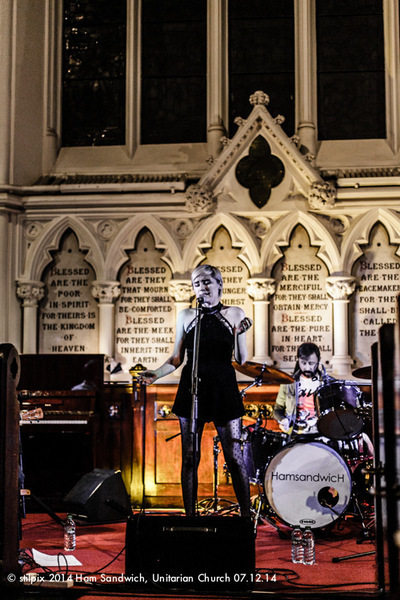 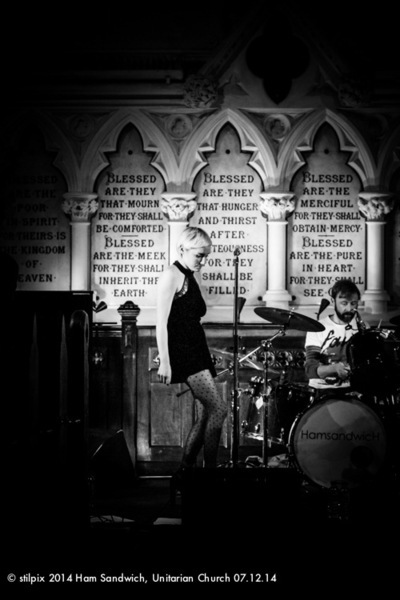 Ham Sandwich are a band from Kells, Co. Meath. 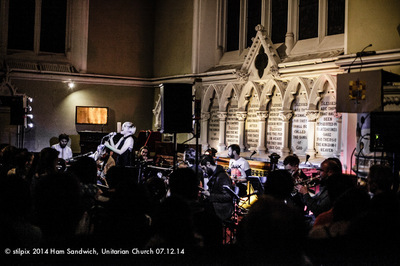 That town's close proximity to Dublin has meant that the band enjoy a large following in the capital (and indeed the rest of Ireland). 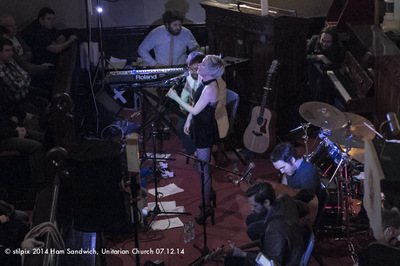 The band members are; Niamh Farrell, Ollie Murphy, Podge McNamee, Darcy, Dave McEnroe. 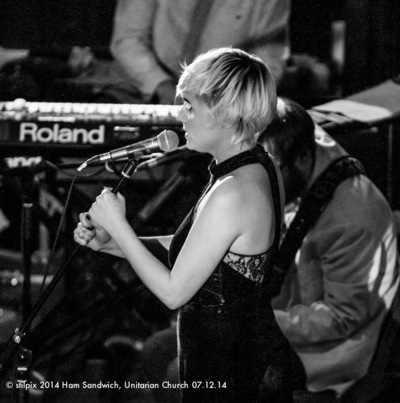 I have photographed the band a number of times. 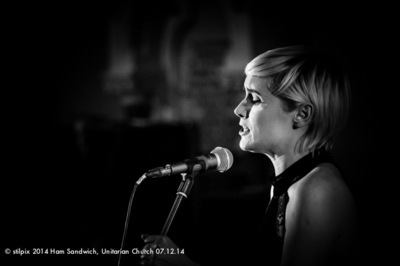 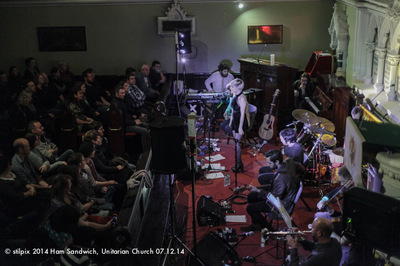 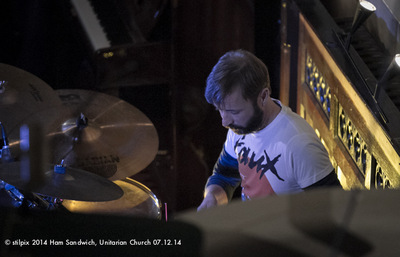 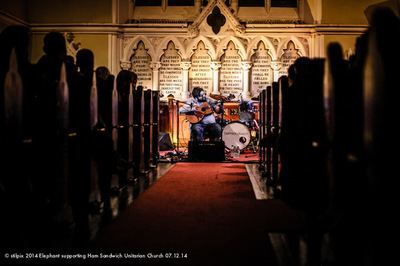 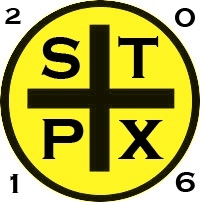 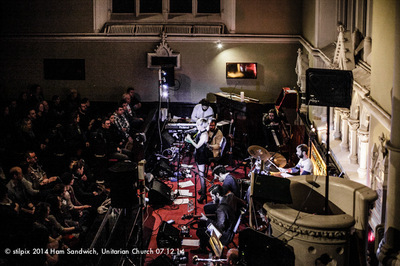 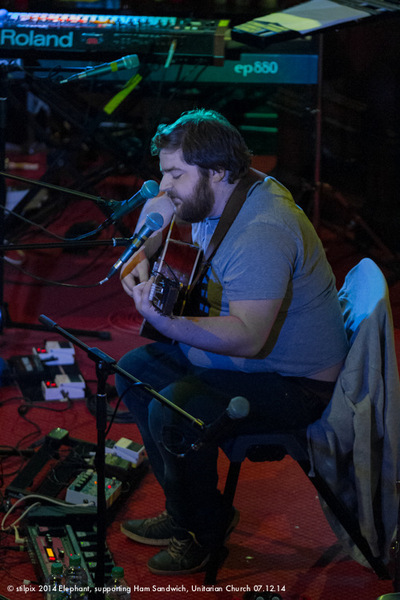 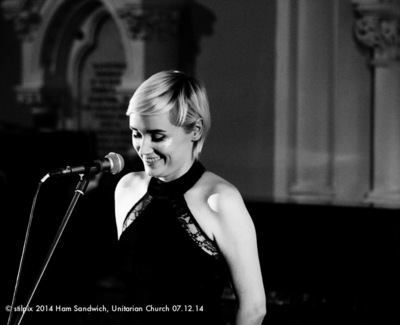 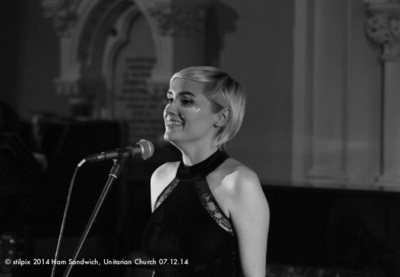 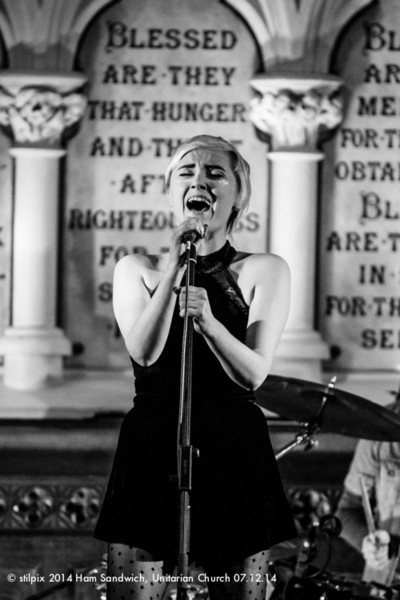 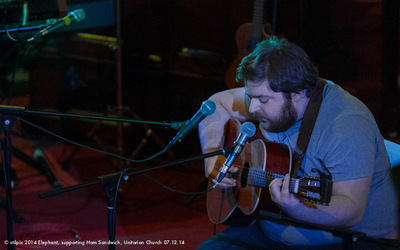 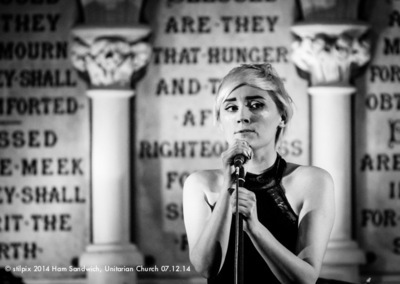 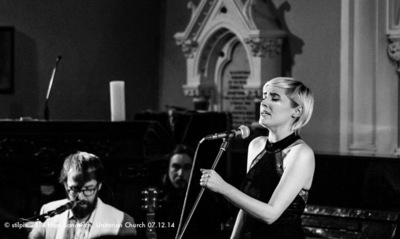 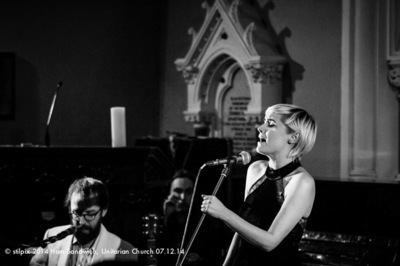 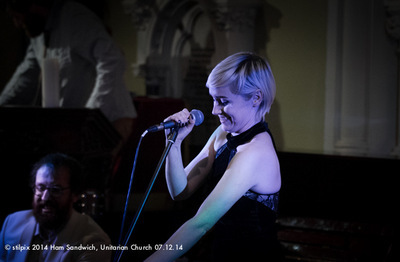 The most recent opportunity was at a small intimate venue in Dublin, The Unitarian Church, on Stephen's Green. 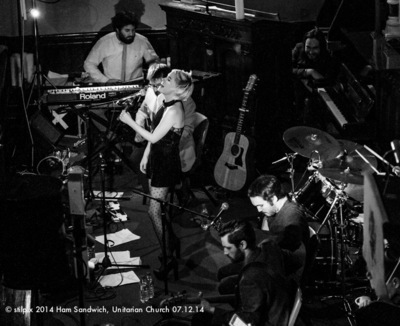 The band's set was mainly composed of songs from the new album, Apollo, set for release in early 2015. 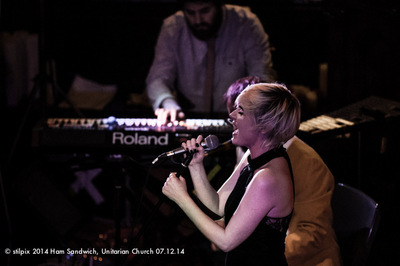 The creative forces in the band have a fine ear for crafting insistent indie-pop tunes. 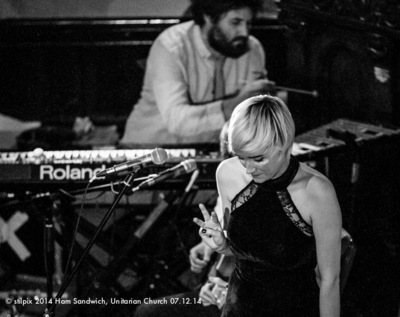 Niamh and Podge are the main visual and vocal focus but the band is a tight unit with live performances augmented with specialist players.